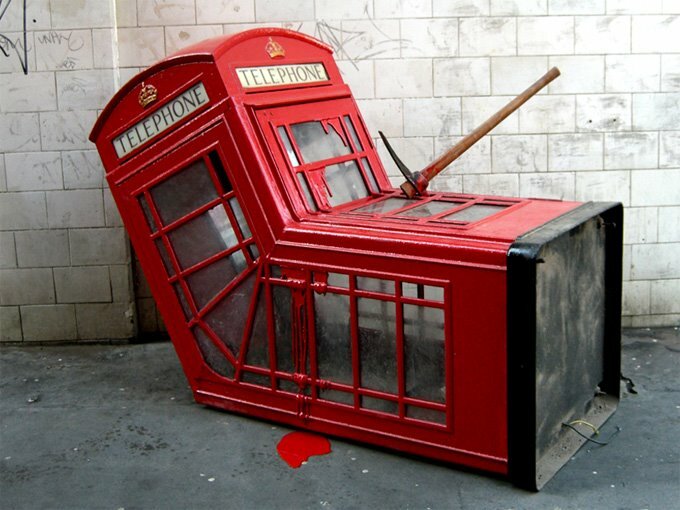 In case you missed it, Banksy's website got updated yesterday. A number of quicktime movies have been added to the site showing the man himself in action. A new sketchbook section which includes some interesting rough sketches, giving us a behind the scenes glimpse into some of the initial ideas that later become sculptures or stencils. The outdoors section has also had some new images added including Bankys's newest installation the Red Phone Box pictured above. The sculpture which appeared in central London close to Soho Square on Wednesday this week only lasted a few hours before it was removed by Westminster Council.